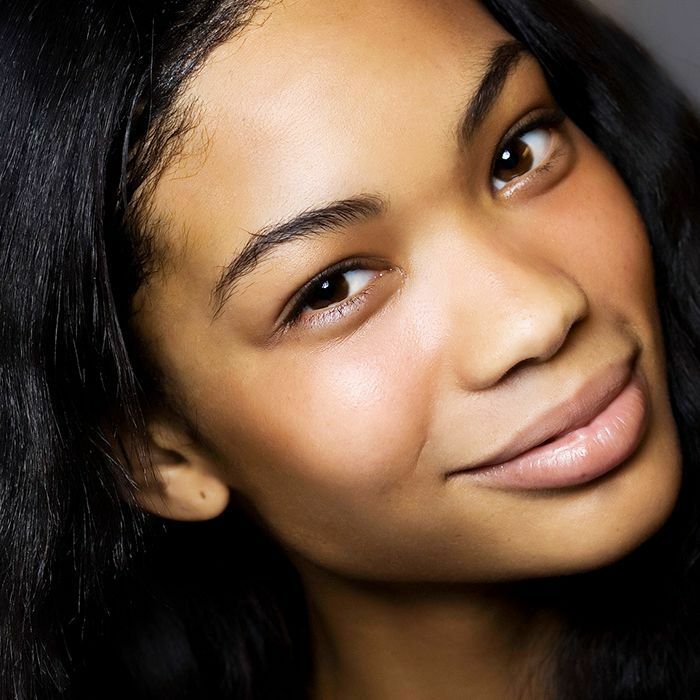 A mastered makeup-free look is a mythical (even magical) creature. Persistently sought yet ever elusive, a fresh face—one that imbues the appeal of a bare visage but is actually made up—is like the unicorn of our beauty goals. One thing’s for certain: Models have the makeup-free makeup look down. My first job out of college was assisting a casting director in New York. While snapping Polaroids of model after model, I found it fascinating how the girls consistently nailed that effortless, natural beauty whether it was a scorching 90 degrees out or a shiver-inducing 29. Models have to arrive at castings looking completely barefaced, but that doesn’t mean they don’t rely on a little help to obtain that signature dewy glow, bright eye, or full brow. So in our determined efforts to obtain this covetable, seemingly contradictory look, let’s take a cue from the women who do it on the daily. How do models make up their faces to appear au naturel when they step in front of the camera? We’ve rounded up the top products models are toting to casting calls with their comp cards and heels. Keep scrolling to read more about less-is-more beauty and see the products proven to achieve the look. While models can’t layer on foundation for castings, they can achieve an even complexion with a little help from their moisturizer. This organic botanical line is a model favorite. 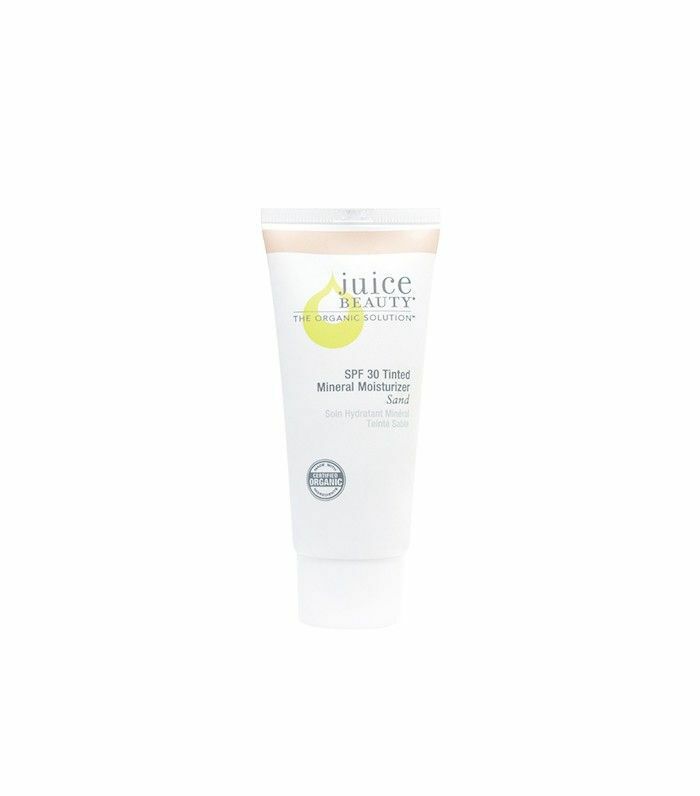 Juice Beauty’s antioxidant-rich tinted moisturizer multitasks to provide light coverage, sun protection, and hydration throughout the day. This beauty best seller is a saving grace among models in need of a little facial pick-me-up that looks completely natural. 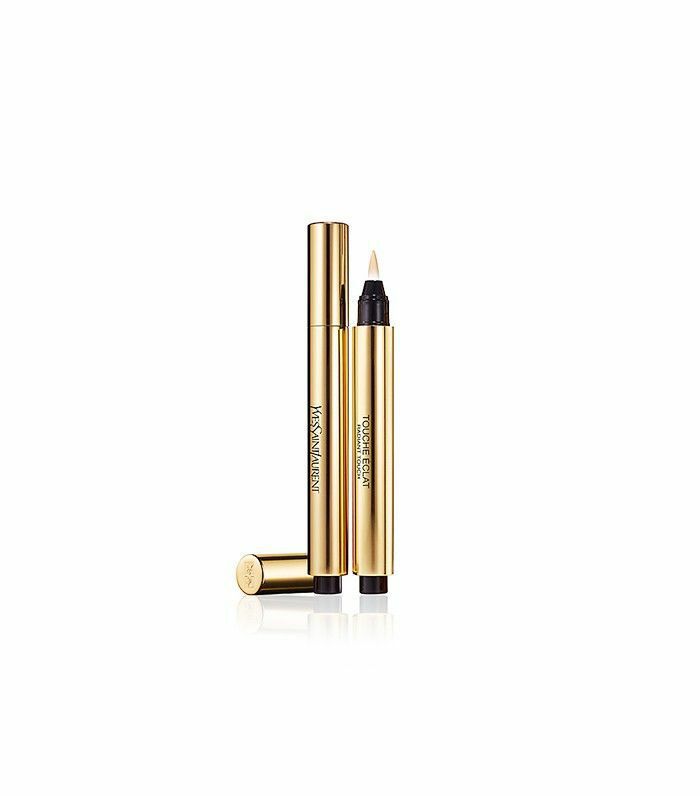 Models religiously use Touche Éclat for under-eye coverage and sometimes for a subtle highlight that adds light sans any telltale shimmer. Full, natural brows are a must for models these days, with or without makeup. 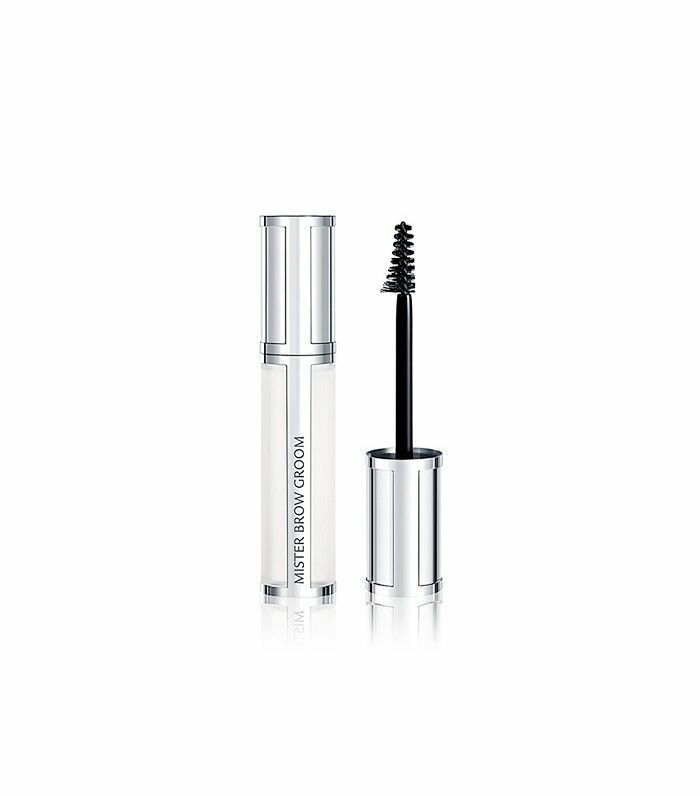 So when the look is barefaced, models keep their brows bold and beautiful with a light swipe of a transparent mascara like Givenchy’s Mister Brow. For some added illumination, models blend in this lightweight highlighting fluid where needed. Light-reflecting pigments blur the skin’s imperfections while giving off a natural-looking glow. Many castings have powder on hand for models to mattify their look before stepping in front of the camera, especially during the summer. Instead of sharing powder with other girls (picking up bacteria and risking breakouts) and applying a color that isn’t perfectly matched to their skin tone, seasoned models always bring their own. 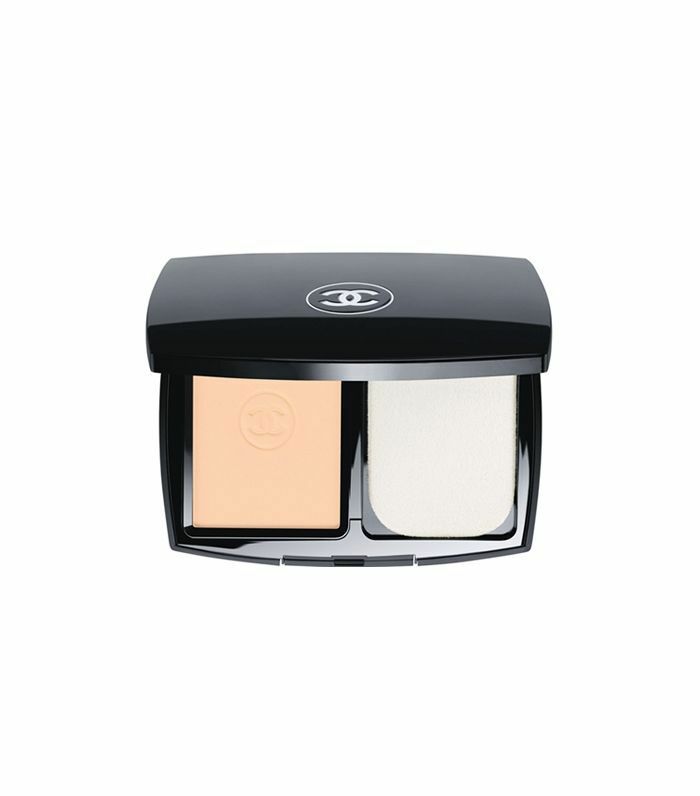 This luxurious formula by Chanel is an industry favorite. 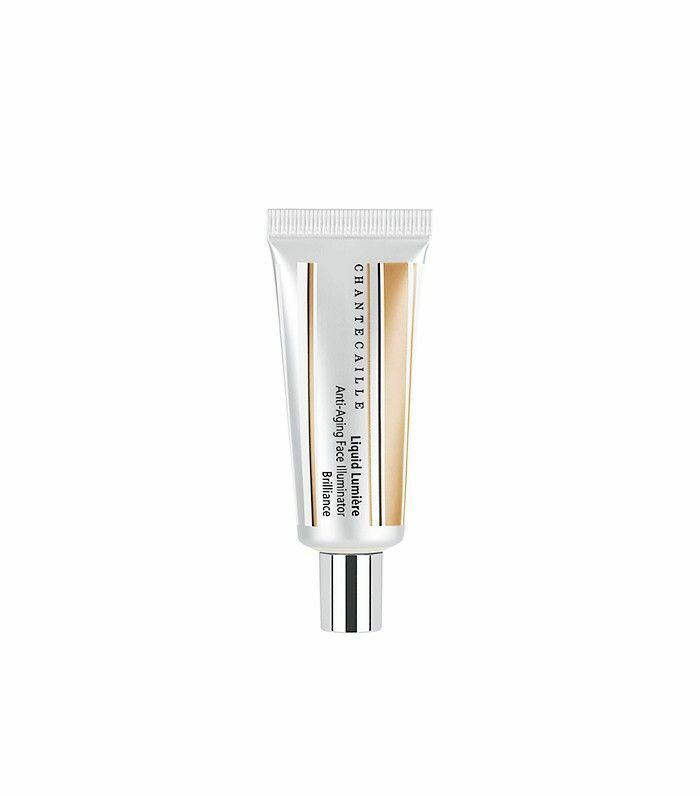 Models are masters of the dewy skin look, and face gloss takes it to the next level. 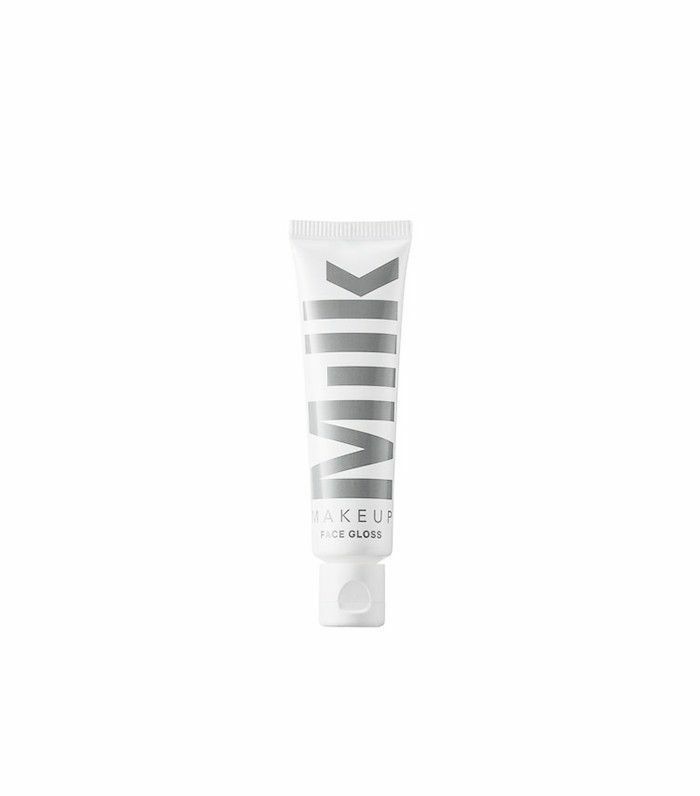 This nonsticky, colorless option from Milk Makeup is perfect for quick and easy application between castings. Models keep skin hydrated with a refreshing facial spray. This rosewater spray is a cult favorite and an on-the-go staple. 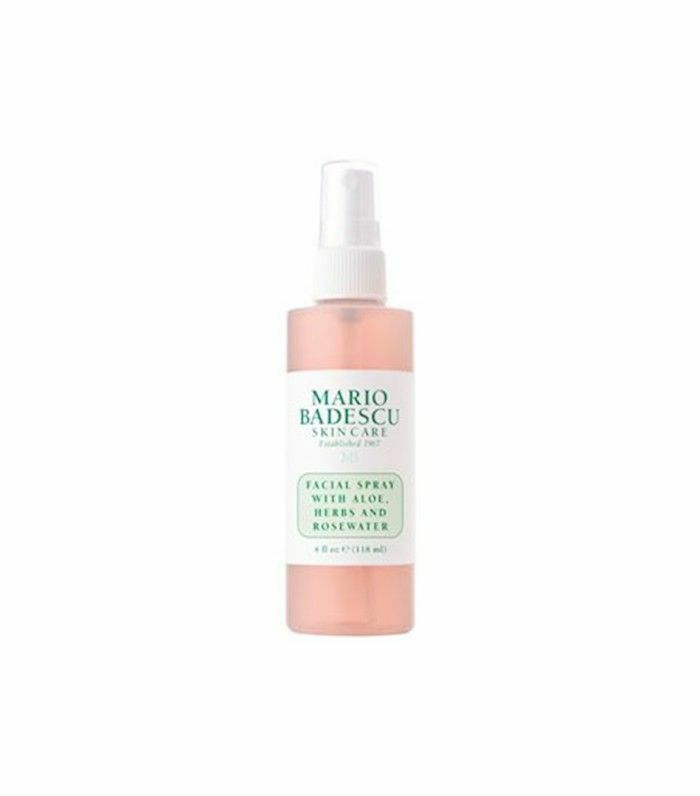 The rest of Mario Badescu’s popular skincare line is brimming with products to ready skin for a makeup-free look. Have a favorite product you tote around to maintain that sought-after makeup-free look? Spill your secrets with us in the comments! This story was originally published on September 24, 2016.